Your one-stop center to get information regarding ticket history; uploading and downloading your files; insert inventory; envelope messages; Campaign Composer; MailTrek; Reports; Messaging and Customer Support. Need further assistance? Elevate your customer communications and create additional revenue opportunities. 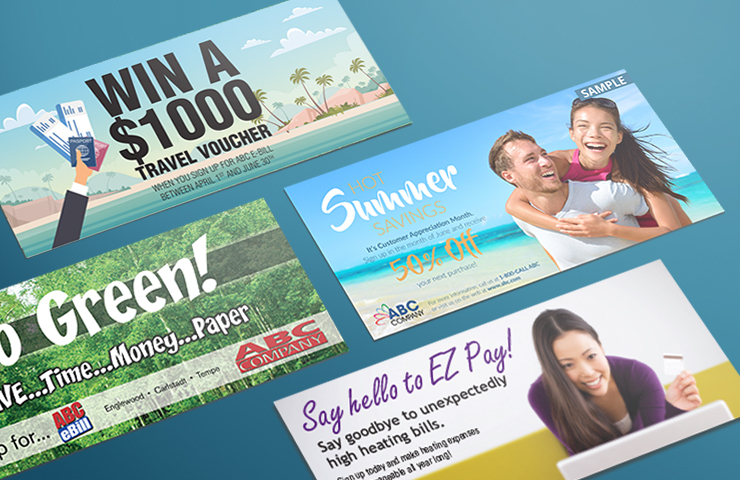 Use an insert to create or enhance a targeted marketing plan for any of your products or services. OSG Inserts come in all different types and sizes. Since you're already sending your customers an invoice or statement package, there is no additional cost to you to include an insert. © 2018 OSG, all rights reserved.